That's right. Only quitters. And a quitter is someone who gave up on their dream. A true winner is someone who will fight for their dream even when the world says they can't have it. No one ever loses anything, they just simply give up on what they were after. In the long run, isn't it better to say that you gave it your best shot instead of not trying at all? So what are we afraid of? Let me put a fishing example out there. 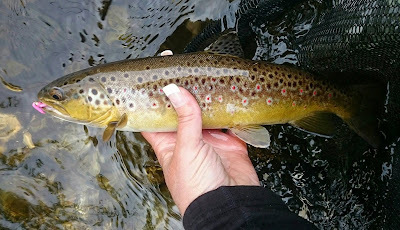 Many of us that fly fish, have our go-to flies, our favorite rivers that we know very well. How often do we just throw our fly box in the car and go to a new place to scout out? What are we afraid of? That we might get skunked because we don't have the "experience" in this new water? I will answer that question with a BIG "YES"!! Folks, it's all about the adventure! 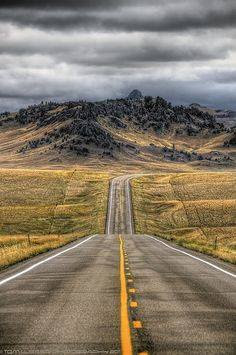 I have decided to step outside the box for a day trip that I am taking next week. It will be a challenge. I expect that much. But, I will make the best of it. And I will throw my 6 or 7 years of experience into figuring it out. I'm downright excited! Because, you see, if I come up empty... I tried my best. Nothing to be ashamed of. And if I catch and put fish in the net... Then, I have improved my skills. You see, winners are always learning and are always looking for new ways to challenge themselves. They are positive thinkers and they work hard for what they believe in. So, I'm going to step outside my comfort zone and head to the river "Unknown". 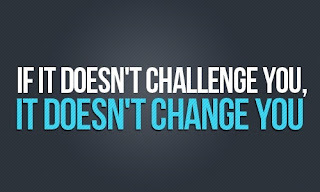 Because it's the challenges in life that make us stronger. A friend of mine had me read from Romans 5:4-5. It tells us that patience produces character and character produces hope and this hope will never disappoint us. After I came to grips with the fact that were not talking about me....... At least, I didn't see a link to my new blog anywhere....... I relaxed and could see where you were coming from. What a great message for all of us to keep in mind. I wish you the best of success and know you will settle for no less than a great time! Thank you. Hope you are planning on having a wonderful Memorial Day weekend! Emily, you have the right idea. I enjoy a new blue line to explore, sometimes they work out sometimes they don't but the trying is usually a heck of a lot of fun. Alan ~ Finding new fishing spots can be a hit and miss thing. But, if you sit on your keester, you could be missing something wonderful. I'm sorry Emily, but I have to make a correction to one of your sentences above. This particular line "Because, you see, if I come up empty... I tried my best." is the one of which I speak. Having followed your fishing adventures for many years now, I can only come up with one conclusion. If you didn't catch a fish, there aren't any fish there. Amen. I think it is fear. I've been wanting to do a challenge where I fished with only the same 10 flies all year. I'm scurred. This post came about because of your last comment! Thanks for the writing material. Haha. Now, go get em, Kev! The really great fishing individuals are the ones who have the patience, concentration and confidence. I have learned over the years that of the three mentioned the confidence factor is the most important. Good luck on the new water, I know you will do well!! "I'm a loser. I'm a loser. And I'm not what I appear to be." John Lennon taught us that sometimes it's best to confess our sins and move on. You're not a loser. Ahhhh... Those Beatles. No one is a loser, just a quitter. First paragraph. Now, go get that fly rod and brush off the dust. You are my next stop. Maybe July. I'm guilty of clinging to my comfortable teddy bear grooves and routines. 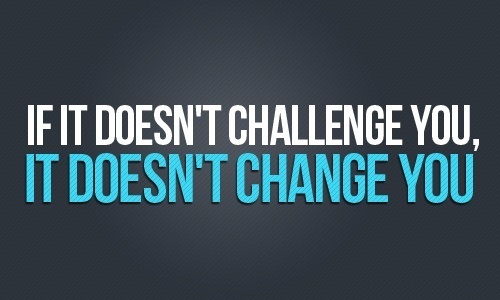 But Parkinson's Disease is definitely teaching me that "If it doesn't challenge you, it doesn't change you." Hey, F.A. I appreciate you finding the time to stop by for a visit. I can relate to where you are coming from, believe it or not. There are obstacles in life. It's how we tackle them and make them into a positive rather than a negative that counts... Never quit!! !